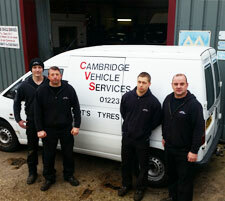 Cambridge Vehicle Services have been offering first class van, light commercial vehicle, motor home and car repairs in the Cambridge area for many years, building a reputation for quality service at an affordable price. Allowing us to cover all aspects of car repairs and servicing, our four bay garage can accommodate models of all types, and we are one of the few garages based in and around Cambridge who offer motorhome repairs and servicing too! Whether it's an issue from your clutch to air conditioning, our skilled and helpful mechanics use the latest diagnostics equipment to help examine your vehicle and fix the fault at hand. 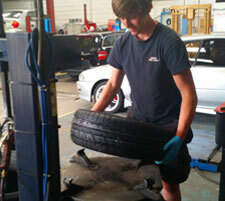 Remember that we do MOT tests too! Don't hesitate to call us today on 01223 566 475 to obtain your free no obligation quotation. 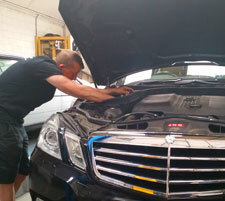 When it comes to repairs and car servicing in Cambridge, we have built a reputation around our fast turnaround times, skilled mechanics, reasonable and independent prices and customer satisfaction. For these reasons and more it is easy to see why you should book your service with us today! Equipped with the latest tools and technology, our experienced mechanics are able to swiftly deal with any problems found during a service, and always offer the most cost efficient options to fix any issues at hand. Our impartial advice is one of the key reasons we get so much return custom. Book your car, van, light commercial vehicle or motorhome in for a repair or service with us today! Simply call us on 01223 566 475 and we will happily make you an appointment.